English language learners often find that one of the toughest things to learn about the English language is article use. While some languages utilize articles, not all of these have both definite and indefinite articles as in English, so as non-native speakers begin to learn the intricacies of English, articles can be especially troubling. Technically, an article is an adjective, as the article modifies the noun just as an adjective does. Articles are also referred to as “determiners” as they determine whether something is specific or nonspecific. Articles in English are either definite (specific), or indefinite (nonspecific). 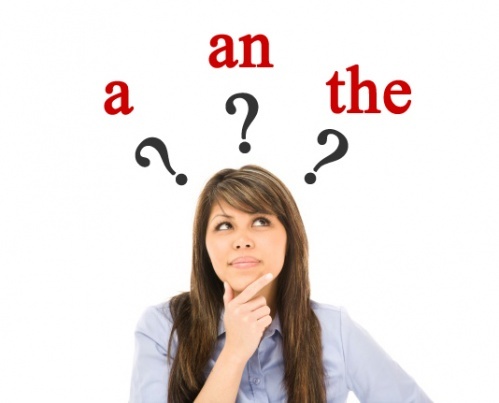 A or An are indefinite articles, which refers to a non-specific noun. For example, “Can I get a dog?” refers to any dog in general. In contrast, “Can I get the dog,” is referring to one specific dog. The beginning letter and sound of a word will determine whether you’ll use A or An. A singular noun beginning with a vowel will use “an”: an orange; an airplane; an opera. Also, an will precede a noun with a silent “h” such as hour. However, if the “h” is not silent, you would use the article a, such as a horse or a hobby. This is only a brief morsel of an extremely complex English grammar rule, a rule that takes a lot of time to master for English Language Learners (and even native-English speakers!). For more help, a great resource is Purdue Owl Online Writing Lab – or your local writing center! Tone is often one of the most overlooked elements in writing. Tone is all about your writing “voice.” It’s an attitude in your speech that reflects your personal style. Tone and style are important in argument essays, as the way you communicate your argument will affect the audience’s response. For an effective argument essay, you need to sound authoritative and credible. 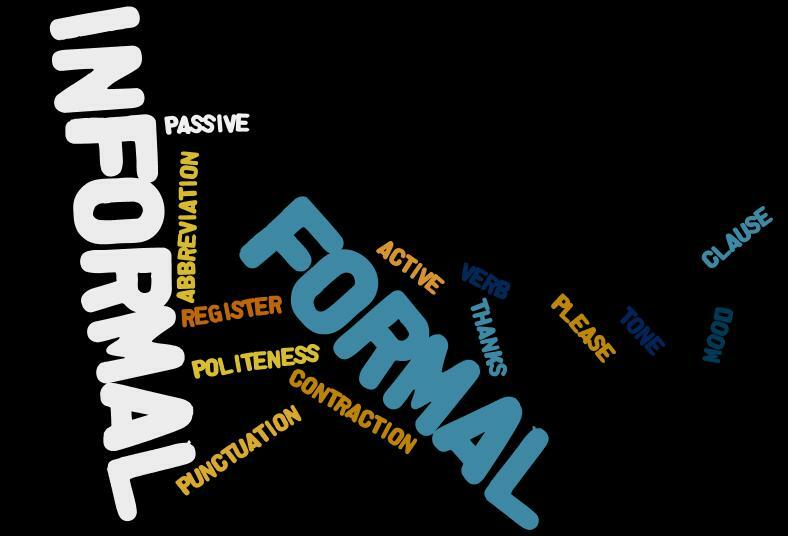 An informal tone that might work well for a personal narrative won’t be as effective for a persuasive essay. Your credibility will be enhanced as you learn to critically evaluate your word choices, style and overall tone. Charlotte’s awesome essay is about how a chick went all crazy thinking something was behind her wallpaper. The informal tone above is obvious by the word choices (“awesome”; “chick”; “all crazy”), not the most effective tone for an analysis. Perkins essay, “The Yellow Wallpaper,” depicts the effect of confinement on the female narrator’s mental health and her decline into psychosis. The second example above lends credibility to the writer, as a reading audience isn’t likely to respect the opinions of a writer with such informal word choices and style as in the first example. Notice the style and tone differences between the two examples below. Her husband was real controlling and kept her locked up so she could get better. Her husband was extremely controlling, and confined her so she could recuperate. Note how the word choices are more precise in the formal example. Also note the intensifier, “real,” is eliminated. Using “real” actually weakens your writing, but is one of the most often-used crutches in student writing. Facilitation of the deliberations of the collaborative, strategic-planning body was assumed by individuals possessing requisite levels of professional expertise and relevant experience. Senior staff led the meeting of the planning committee. Students often think this overly-complicated tone makes them sound smarter, but it’s often so complex, an audience can’t understand the message behind the words. Sometimes using elevated vocabulary isn’t in and of itself bad writing, as long as the message is communicated clearly. Your writing purpose will guide you to choose the best word choices to convey a clear meaning. We’ve all heard the rumor/rule that contractions shouldn’t be used in academic writing, but sometimes writing just sounds weird without them. Many style guides say it’s okay to use contractions in academic writing and most types of writing benefit from the use of contractions. If used thoughtfully, contractions sound natural and relaxed and create a fluid reading. So follow the rule to use contractions in formal writing if it will sound stranger to avoid them. It is that simple. Or it’s that simple. Remember that your writing should still have your voice present, that special something that makes your writing sound uniquely like you. Whether you are writing a persuasive essay or a personal narrative, you can adjust your tone while still maintaining some personality. Here at MCC’s Writing Center, when a student comes in for a consultation, we follow what we refer to as a “hierarchy of concerns.” Simply stated, we focus first on the big picture issues in student writing, such as focus, organization, development and paragraph structure. Lower on our hierarchy of concerns are sentences, words, and style. In the first drafts of our writing, grammar and punctuation is least of our concerns. Why? Because if you will be revising your paper through several drafts, and hopefully you will be revising your paper, we don’t want to focus on spelling errors for words that may or may not be in the final draft. In the beginning stages, it’s more important to get the big picture items clearly defined and save sentence-level concerns until the final draft. Our last post introduced some of those broad content issues, so let’s more clearly examine exactly what those broad content issues are in relation to a research paper. Most of us overlook the obvious, but failure to follow assignment guidelines is one of the biggest mistakes students make. If your assignment asks you to write a summary and you write an evaluative response, you aren’t doing what the assignment asks. This is the clearest route to a failing grade. Make sure you understand exactly what the assignment asks you to do, and if in doubt, ask your instructor. For a moment, think of focus in terms of the visual aspect. You are looking at a deer through a pair of binoculars, but the deer looks fuzzy. You know the deer is there, but it’s a blur, lost in a haze of leaves, trees, pasture, and sky, all of which look like one big blob of colored fog. 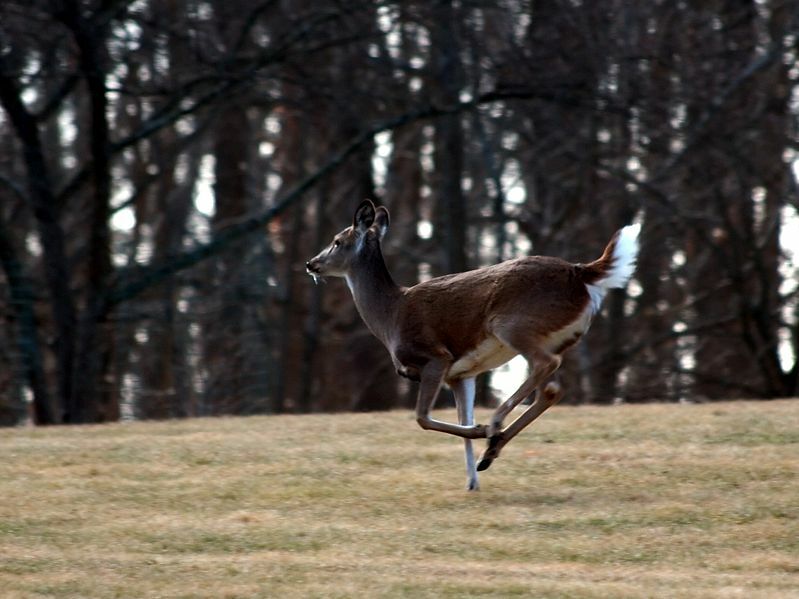 To see the deer clearly, you must focus in on just the deer, adjusting the focus so the deer is sharp, the focal point, and the setting – leaves, trees and other details – are of secondary focus. The setting must exist for the deer to exist, but not your main focus. Do all paragraphs relate to and support my main idea? Am I veering off-topic in the body of my paper? Does all evidence and research support one main idea? If not, revise to tighten your focus. Does each paragraph relate back to the thesis – and to one another? Does any paragraph seem unrelated or irrelevant? Are any points confusing, or do you need additional information to clarify? Are paragraphs and ideas clearly linked? Does each paragraph transition smoothly to the next, or do any seem choppy? Does all research support your points? Have you left out any important points? For research papers specifically, your argument must be fully developed. If your argument isn’t fully developed, the reader might be left with too many questions, or unsure of exactly what the issues are surrounding your argument. A fully developed paper is unified and coherent. The topic is explored fully with details, evidence and examples. Any generalities are backed up with specifics, and specifics are explained in general terms to lead the reader through your points. The argument is reasoned through, with effective support and research in each paragraph. The paper includes opposition, or an antithesis to the argument. No stone is left unturned. No questions are left unanswered. Do any main points need more or better supportive research to convince the audience? In the end, has the paper served its purpose? What do you want to have happen as a result of your argument? By focusing first on the broader content issues of your essay, you’ll not only be able to identify content problems early in the writing process, but also save time by not line editing before you’re ready. Do you have a different “hierarchy of concerns” when you revise your paper? Some writers begin with their weakest areas first, and work out from there. What is your process for revision? As we embark on the beginning of fall semester, many students are taking their first college-level English class. Students can benefit from taking what is called a “writing inventory.” A writing inventory, according to St. Martin’s Guide to Writing, is simply an analysis of your own writing. Just like you would take inventory of merchandise in a store, a writing inventory requires you to take stock or critically analyze your writing. Analyzing your writing will allow you to understand your strengths and weaknesses as a writer so you can set specific goals for short-term and long-term improvement. Beginning writers learn from feedback. We compose a draft, our instructor offers comments, and sometimes places a grade on our writing or offers the opportunity to revise. However, many instructors complain that often students don’t read their feedback or even peer group feedback, and only flip through the essay to find their grade. Are you nodding your head? Reading – and responding in subsequent drafts – to written comments is one surefire way to quickly improve as a writer. Students who refuse to read written feedback are typically the students who make the same errors over and over, and wonder why their writing (and grade) never improves. Research suggests that students can improve by taking inventory of their writing within these 3 categories. Comments concerning broad content issues might be, “This point is underdeveloped,” or “line of reasoning isn’t clear.” Comments related to organization and presentation issues might say, “Need to include transition,” or “paragraph lacks focus around one topic.” Surface errors can run the gamut from comma errors, by far the most common student punctuation error, to word usage errors, to dangling modifiers. If you’ve received feedback of numerous comma splices and are unsure what that means, your textbook should have an explanation with examples. If not, visit Purdue Owl Online Writing Lab to clarify and for practice worksheets. 1. Gather copies of your first writing assignments which have written comments from your instructor, your peers, or both. 2. Read through your writing, adding your own comments about its strengths and weaknesses. 3. Examine all comments carefully, comparing with your comments. 4. Next, group all comments into the 3 categories listed above. 5. Inventory your own strengths in each category. 6. Inventory your errors carefully or suggestions for improvement, categorizing according to the list. 7. Study your textbook for more detailed help in these areas. 8. 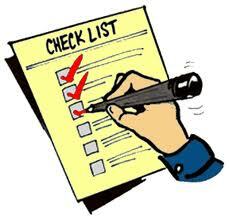 Make a priority list of 3 or 4 specific writing problems and write an action plan for improvement (ex., visit the Writing Center once a week). 9. Note at least 2 strengths as well and continue to build on these. Taking a writing inventory is a great way to analyze and improve your own writing. When you get each essay back with comments, study the feedback carefully and take note of areas that need improvement. If you are ever confused about written comments, ask for clarification from your peer group, or make an appointment with your instructor. A little effort now will go a long way later, and by the time you get into advanced writing classes, hopefully you’ll have achieved your writing goals.